Every year since our founder, Todd Brown, instated our annual scholarship program, we’ve heard so many amazing stories from talented and determined students of all ages who are ready to achieve their dreams through higher education and take on the world! In the last few months, we’ve received applications from a variety of hopeful students, all aiming to earn one of the seven 2018 180 Medical College Scholarship awards. We always look forward to this time of year, and we’re excited to begin our judging process soon. Meet our Scholarship Recipients of 2017: Megha, Frank, Chelsea, Joseph, Elizabeth, and Heidi. Last but not least, we’re excited to introduce you to Grant! 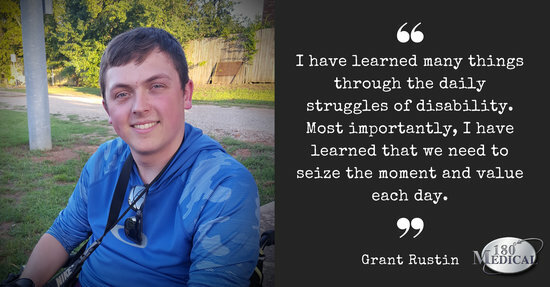 When Grant was injured 4 years ago at 15, his life could’ve taken an entirely different direction if he’d given up. However, he wasn’t about to let his spinal cord injury get the better of him. Grant worked hard to make it through rehabilitation therapy in just 3 months, despite being a C-6/7/8 quadriplegic. He came home from rehab at the end of the summer and went right back to school in September. Grant was determined to continue to pursue his education, no matter what struggles he might face. He also attended every basketball game and made sure to cheer his teammates on with a positive spirit. 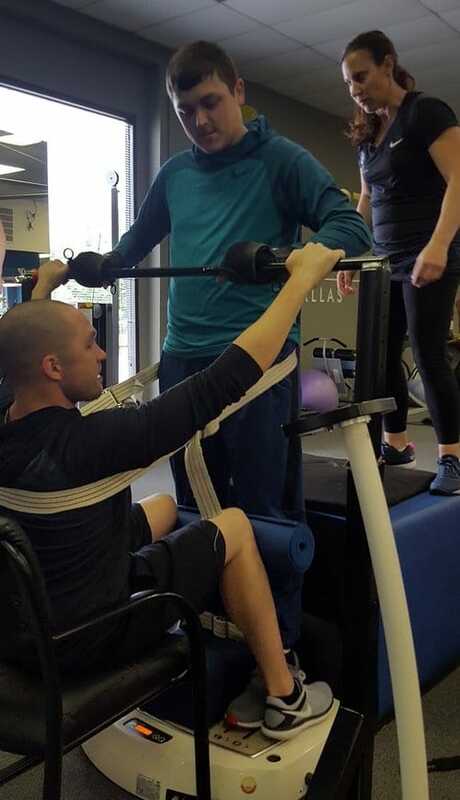 Grant works hard in regular physical therapy to build and maintain his strength, despite his spinal cord injury. During his time in high school, he received the Booster Club Senior Athlete of the Year award. He also received the Academic Excellence Award from Southeastern Oklahoma State University for his outstanding GPA and his ACT score. Grant plans to major in Business while continuing his physical and occupational therapy. Other goals include writing a book about his life experiences. In his spare time, Grant stays busy running his personal YouTube channel. 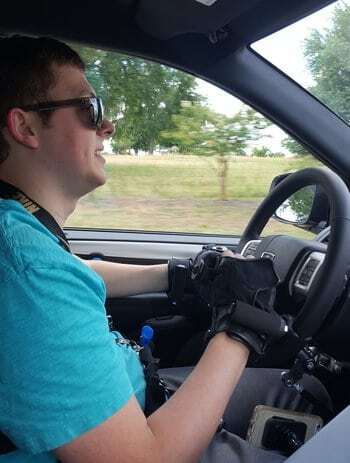 He recently got his driver’s license and an adaptive vehicle. He stays active in his local church and attends a monthly meeting for business owners and entrepreneurs. Grant demonstrates true willpower and determination every day. He’s working hard to achieve his dreams and better himself. We here at 180 Medical wish him all the best in his future endeavors! A college education can be hard to afford these days for students with spinal cord injuries. That’s why 180 Medical established a scholarship program to help students who are determined to achieve their goals, despite their condition. Find more info at www.180medical.com/scholarships. 180 Medical Scholarship Recipient Joseph was involved in a car accident that left him spinal-cord-injured, but he was determined to not give up. Find out more about Joseph in our latest blog. 180 Medical offers a $1,000 scholarship to college students each year with a spinal cord injury, transverse myelitis, or spina bifida. 180 Medical Scholarship Recipient Elizabeth was born with cerebral palsy that left her with many challenges to face and overcome. She has made it her goal to win every daily battle. Find out more about Elizabeth in our latest blog featuring our 2017 Scholarship Recipients.